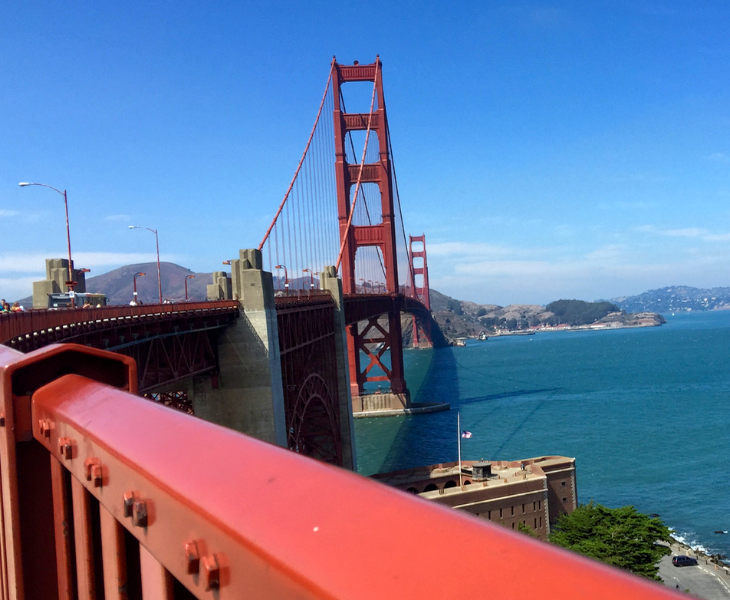 As the fall convention season opens, I thought now would be a good time for a reprise of one of our most popular posts about the mistakes many travelers make when visiting the Bay Area. 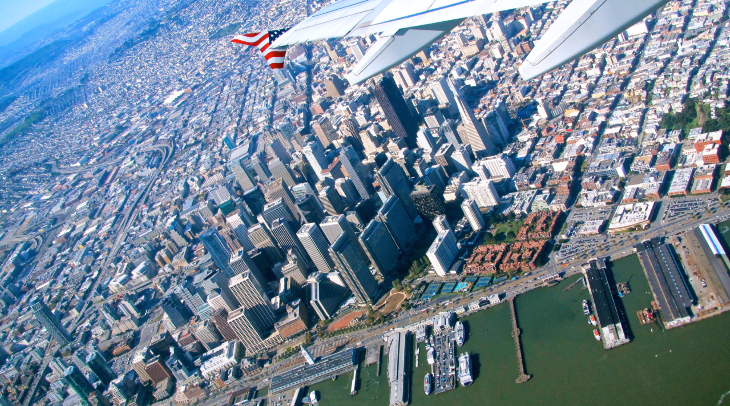 Nearly every frequent traveler visits San Francisco at least one time each year. And it’s most likely that visit will take place between September and December, the city’s peak convention season. That’s especially true if you are in the tech or related fields. For example, San Francisco-based cloud computing giant Salesforce.com puts on its annual Dreamforce conference in the fall at the city’s sprawling Moscone Convention Center, attracting 60,000+ people. Oracle’s OpenWorld conference is usually just before or just after Dreamforce. When a big “citywide” like that comes to town, nearly every hotel in the Bay Area is sold out, or its rates are hyper-inflated. During these peak weeks, you’ll pay a minimum of about $500 for an decent room and feel lucky that you even found one. When citywides come into town, Airbnb hosts lick their chops and fluff their pillows. Restaurant reservations become scant. And Uber drivers kiss their families goodbye and work double shifts for several days in a row. 1>Don’t schedule business meetings on Friday afternoons after 2 p.m. On Fridays, when New York closes for the weekend at 5 pm eastern, so does much of San Francisco (at 2 pm Pacific) especially when it’s warm and sunny outside. Cocktail and beer carts start making the rounds in offices at about 3 p.m. While there are exceptions to this rule, your Bay Area colleagues are likely to groan if you send out a calendar invite for a 4 p.m. meeting on Friday. Make it at 11 a.m. instead. 2>Don’t be surprised about an early start. In a similar vein, know that the workday starts relatively early here, so an 8:30 a.m. meeting is not considered out of order. If that feels too early for you, just bring along some caffeine from Blue Bottle, Ritual or Philz and you’ll be fine. Lunch hour begins promptly at noon, but you find that locals may ask you to show up at 11:45 a.m. “to beat the crowds.” Expect the same early schedule for dinner meetings, which can and do start as early at 6 p.m. Most restaurants are empty by 9:30 on weekdays and by 10:30 p.m. on weekends. 3>Hailing cabs is so 1999. Use an app instead. This is the hometown of both Uber and Lyft, so download the apps and use them if you haven’t already done so. You can enjoy nearly all the different “flavors” of Uber available in the Bay Area, which include the standard town car UberBLACK, private car “citizen driver” UberX (cheaper than taxis), UberSUV, UberXL, and UberPOOL of LyftLine where you share a ride with someone else headed in the same direction. Cabs are fine when available, but the industry has been decimated by the likes of Uber and Lyft– for example, Yellow Cab Coop of San Francisco recently declared bankruptcy (but is still operating). One way to get around irritating “surge pricing” from car sharing companies is to use new taxi hailing apps such as Flywheel. Also, don’t rent a car at the airport unless it’s absolutely essential. SFO rental rates are notoriously high, the car rental center at is distant and unloved, and downtown hotel parking rates are in the $60 per night range. 4>Don’t put off making dinner reservations. This town is HOT and wealthy right now, full of cool kids and visitors with sophisticated palates who love to dine out. If you are here to try the city’s best restaurants, make reservations at least two or three weeks in advance…or more for top spots like Boulevard, Frances, State Bird Provisions, Gary Danko, and others. One common mistake among visitors is thinking that the city’s best Chinese food is in Chinatown. Not necessarily. Grab an Uber or jump on Muni and head out to the western neighborhoods like the Sunset or Inner Richmond which stake claim to the real thing. 5>Don’t confuse subways. 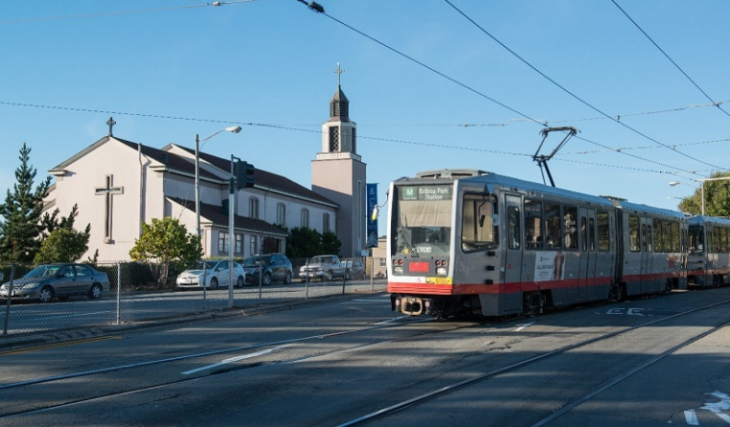 You should know that San Francisco has TWO main subway systems—BART is the rapid rail regional system with several stations along Market Street connecting out to the suburbs and airport. MUNI is the slower central city subway & streetcar system used frequently (and frequently derided) by inner city residents. Of course, there are San Francisco’s fabled cable cars, but those are mostly a tourist attraction and rarely a primary means of transport for locals. 6>Don’t think BART to airport is going to save much time. BART is a great option for those who travel light, but you should know that it can take more than 30 minutes to get to the Embarcadero from SFO (for $8.65 each way). Plus, you’ll have to walk to your hotel from the nearest BART station (see below). If there’s no traffic, a taxi or Uber can get you between the airport and city in about 20 minutes. UberBLACK rates are around $68. UberX and Lyft can be about half that. And cabs run about $50 including tip. 7>Consider hills when walking. First timers with hotels on Nob Hill may look at a map and think, “Oh, I’ll just walk to my hotel from Market Street. It’s close.” Well, yes, it’s close as the bird flies, but try lugging your rollaboard up the side of the hill to the Ritz-Carlton, Fairmont, Scarlet Huntington or Mark Hopkins and you’ll learn quickly that this may not be the smartest option. Especially if you are wearing heels! Finally, never call San Francisco “Frisco” or “San Fran.” Laid back locals won’t say anything, but inside, you can bet they are groaning. To be safe, just call it “The City” or San Francisco. Last year CNN dropped by for some advice about traveling to the Bay Area– see this video to find out what I had to say. I’m sure our many Bay Area readers can add to this list, so please fire away in the comments section below and help your fellow frequent traveler headed west! 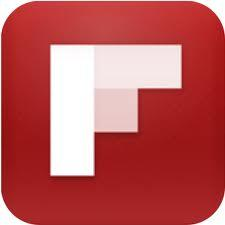 Please join the 185,000+ people who read TravelSkills every month! Sign up here for one email-per-day updates!